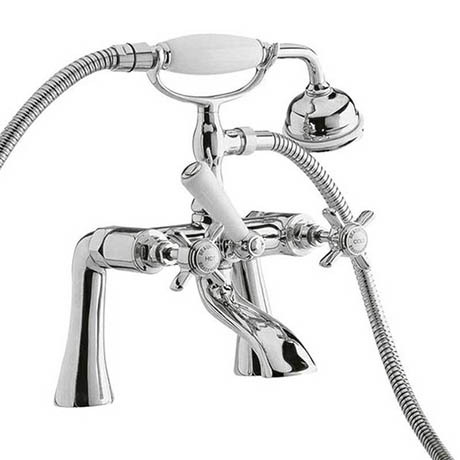 Beaumont deck mounted bath shower mixer fitted with conventional screw down valve mechanisms. This perennial favourite collection of basin taps and bath shower mixers capture the aura of a bygone time. The Beaumont tap and mixer collection is the perfect partner to the Beaumont showers range. Q. Is this compatible for use with the Ultra Freestanding Bath Standpipes - Chrome - DA311? Hi Colin, no, these will not be compatible to use with DA311 unfortunately. If you would like to discuss alternatives, please give us a call today and we will be happy to look into this. very happy with this product,delivery, packaging etc all excellent,thank you..